The easiest way to interface 7-segment display with PIC12F1822 microcontroller is to add a serial-in parallel-out shift register. The adding of the shift register minimizes the number of pins used by the 7-segment display. 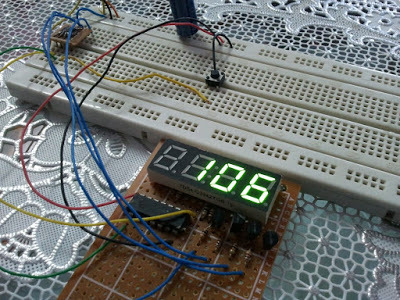 This topic shows how to make a 3-digit digital counter with multiplexing and 74HC164 shift register using PIC16F877A and CCS PIC C compiler. Here is an example shows how to make a digital up counter where the number is displayed on a 7 segment display uses multiplexing technique with shift register. Example circuit schematic is shown below where a common anode 7-segment display and 74HC164N shift register are used. Other shift registers such as 74HC595 or CD4094 can be used in this project. 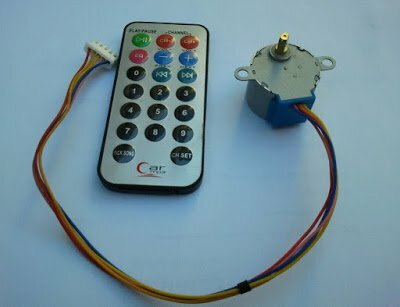 The displayed number can be incremented using the button which is connected to RA3 pin. Internal oscillator of the microcontroller is used @ 8MHz and MCLR pin function is disabled. The push button is connected to RA3 pin. The shift register used is 74HC164 but other types can work properly like 74HC595 or CD4094. In this example all pins of PIC12F1822 are used and there is no free pin. The following video shows project in a hardware circuit with some details.